Wellness, like a fingerprint, is unique to each individual. But Amrit’s Five Pillars of Wellness are common to all. 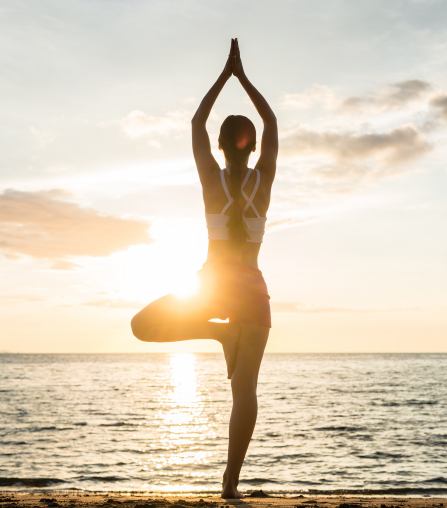 At the Palm Beach luxury resort called Amrit, our approach to wellness is supported by the time-honored science of the Eight Limbs of Patanjali Yoga, which helps people achieve congruity in terms of thoughts, words, and actions and is supported by the Five Pillars of Wellness: Mindfulness, Nutrition, Fitness, Relaxation and Sleep. Each person follows their own path to achieve wellness for life by creating a personal definition of these healthy practices. The goal of the time-honored science of the Eight Limbs of Patanjali Yoga is to help people achieve congruity in terms of thoughts, words, and actions. The heart of Patanjali’s teachings is the Eightfold Path of Yoga, also called the Eight Limbs of Patanjali. This philosophy explains that, like the intertwining branches of a tree in the forest, so do Patanjali’s eight suggestions for living a better, more balanced life relate and intertwine. While the Five Pillars of Wellness can be viewed as the path, constantly adapting to improve one’s journey to wellness for life, the Eight Limbs of Patanjali Yoga are the map to living a balanced life. YAMA: Yama is social behavior; how you treat others and the world around you. It includes general human principles like not causing harm to any creature by thought or deed, incorporating an honest and truthful way of life by not cheating, not stealing and freeing oneself from greed and material wants. NIYAMA: Niyama is inner discipline and responsibility; how we treat ourselves. By practicing the principles of Niyama, you achieve purity of body and mind. It helps to develop contentment by developing satisfaction with what one has, body discipline, mental control and helps achieve a greater awakening. ASANA: Asana is Discipline of the Body; rules and postures to keep it disease-free and for preserving vital energy. Correct postures are a physical aid to meditation, for they control the limbs and nervous system and prevent them from producing disturbances. PRANAYAMA: Pranayama is Control of Breath. Beneficial to health, steadies the body and is highly conducive to the concentration of the mind. DHARANA: Dharana is the concentration of the mind upon a physical object, such as a candle flame or a lamp, and gently pushing away superfluous thoughts. DHYANA: Dhyana is uninterrupted meditation without an object. Concentration (dharana) leads to the state of meditation. The goal of meditation is not unconsciousness or nothingness. It is heightened awareness and oneness with the universe. SAMADHI: The ultimate goal of the eightfold path to yoga is Samadhi or absolute bliss. This is pure contemplation, super-consciousness, in which you and the universe are one. It is said that those who have achieved samadhi are enlightened. Amrit’s philosophy of The Five Pillars of Wellness is to guide individuals through a personalized journey of healthy practices that culminate in their own wellness for life. 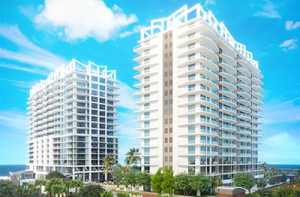 The Pillars each have their specific focus and blend together to create a unique offering of wellness practices to suit each of Amrit’s residents and guests needs. Whilst the Eight Limbs of Patanjali Yoga are the map to living a balanced life, The Five Pillars of Wellness can be viewed as the path, constantly adapting to improve one’s journey to wellness for life. They are fluid, with each contributing to the wellness of the individual. The focus of the Five Pillars will change, based on goals and needs, with each Pillar contributing to one’s Personal Roadmap to Wellness for Life. Pause and delight in the present moment. Too often we invite stress by reliving the past or worrying about the future. At Amrit, our team of experts is here to help you practice mindfulness every day, allowing you to move past pain, stress and anxiety and discover newfound peace and happiness. From the expansive oceanfront views to the lush meditation gardens, the soothing tranquility pools to the inspirational living art, life at Amrit naturally restores the balance of body & mind, enhancing creativity and reducing stress. The study of Patanjali Yoga on our Yoga Terrace or in our Studio. Sound Baths, acoustic resonance and more utilizing calming sounds, special instruments and visualizations to encourage living in the present moment. 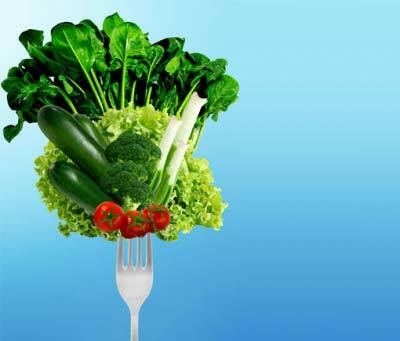 What you eat has a profound effect on both your longevity and how you feel today. That’s why nutrition is a cornerstone of Amrit’s wellness philosophy. Here, you’ll find four on-site restaurants offering healthy & delicious, farm-to-table food. When you want guidance, our renowned health professionals will help you select a nutritional program that is right for you, from Personalized Nutrition to IV Vitamin Therapies, Weight Management to Detox/Cleansing and more. Amrit even offers healthy cooking classes. With professional support built in to your daily routine, you’ll find yourself making better choices and seeing positive results. Looking beautiful, fit and transcending perceptions of age are not miracles that come from a bottle or jar. They are the result of something much simpler—yoga, meditation and exercise as a path to health, nurturing the body from the inside out. How do you put this concept into practice? Sunrise beach yoga. Evening meditation with certified Himalayan Institute instructors. A state-of-the-art, oceanfront gym with movement classes designed to take your body/mind practice to the next level. And then there are the little things—the fitness path that leads to the ocean, the customized Easy Access Stairs app and so many other natural ways to integrate fitness into your daily life. That’s why we say that fitness is built in to Amrit’s DNA. And now it can be added to yours. 3 ½ acres of green space with lush pathways designed to encourage walking. At Amrit, your senses are immediately engaged, inspiring you to breathe deeply and destress. Amidst dancing fire bowls and overflowing water features, you’ve entered a new world where relaxation is a way of life, rather than a guilty pleasure. Enjoy our Master Aromatherapist’s bespoke creations, our captivating water wall and our rejuvenating spa treatments. Outside, our seven acres of oceanfront natural beauty beckon, as a way to further quiet the mind and satisfy the soul. The authentic Hamam Cleansing Ritual. 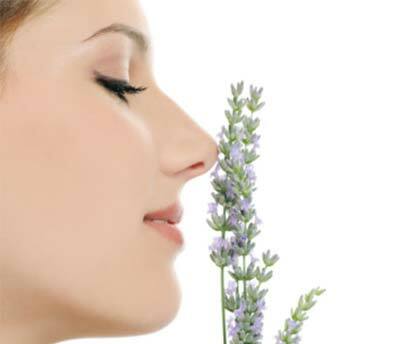 Aromatherapy is the science of scent using natural essential oils that make us feel good, safe and restful. Aroma’s selected by you and for you can be used in your living space or during facial, massage, and body treatments to ensure true rejuvenation and renewal. Quality sleep isn’t a luxury—it’s an underrated necessity. Countless studies affirm the positive effects of sleep health when addressing everything from weight challenges to medication reduction. That’s why the Amrit team has designated Sleep Specialists here to customize your sleep environment. They can help you select the perfect pillow, calibrate circadian rhythm lighting and schedule a Bath Concierge to prepare your personalized aromatherapy relaxation bath. Drifting off to sleep has never before felt this peaceful. Restful Ritual Bath Butler Service. Blue light education and circadian lighting aligned to your unique sleep cycles. Yoga Nidra meditation technique to promote deep rest and relaxation.